I’m writing this from my kitchen in Boulder, not long before I crash into bed. The Boyz and I made it back to the USA without any problems, what a relief! I have this strange feeling like… did I dream the whole past year? Especially since I traveled the same week as last year, and everything looks the same as I left it! Here is the last photo I took in the UK. 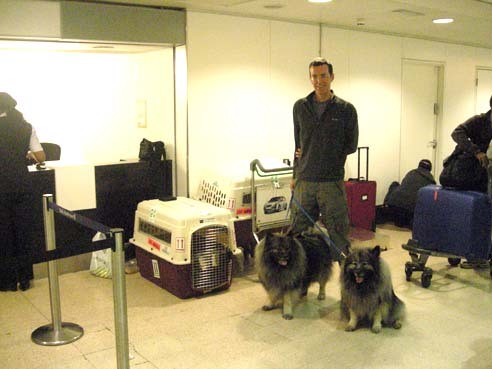 The Boyz were quite a sensation in Heathrow; everyone wanted to know what breed they were and where they were going! They endured all the traveling like champions and are doing great. They definitely recognized their street and house and back yard!